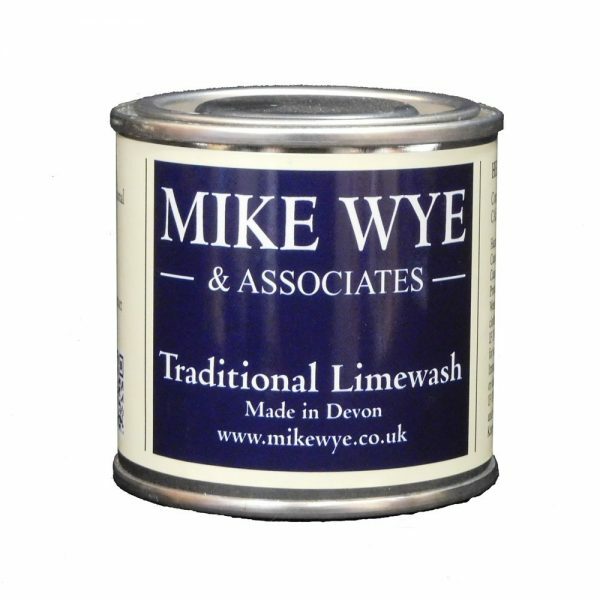 Mike Wye Limewash is traditional blend of our own superior matured lime putty, water and linseed oil. Limewash is naturally white, alternatively earth pigments can be added to produce a fantastic range of colours. We follow a traditional recipe of adding a small amount of little raw linseed oil to Limewash which helps to improve the water-shedding properties. Use a minimum of 4 coats of limewash on new external lime render, and 3 coats on new internal lime plaster. 1 litre of Limewash covers 3 – 6 m² per coat, depending on the porosity and texture of the surface. Our Limewash Colour Chart shows the range of 54 fabulous colours at affordable prices including natural white. A colour matching service is also available for a fee of £40+VAT. *Note: The colours marked with an asterisk contain a blue pigment which is not lime-fast. It is therefore advised that they be used immediately when mixed or the colour will fade.